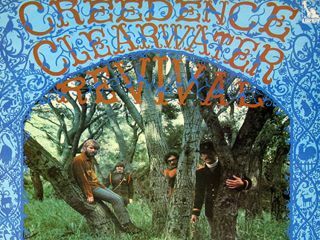 In just two short years, from 1968 to 1970, Creedence Clearwater Revival issued six albums that would change rock 'n' roll history. And now those albums are getting their due, including bonus tracks and new liner notes. On September 30, the Concord Music Group will reissue digitally remastered DigiPaked versions of Creedence Clearwater Revival, Bayou Country, Green River, Willy & The Poor Boys, Cosmo's Factory and Pendulum - classics one and all. Among the many extras are unreleased studio versions of Down On The Corner and Born On The Bayou, which were recorded with Booker T & the MGs. The tracks appear on Willy & The Poor Boys and Cosmo's Factory, respectively. The announcement comes about three years after Creedence singer/songwriter John Fogerty re-signed as a solo artist with Concord's Fantasy Records label, for which Creedence recorded in the late '60s and early '70s. Concord bought Fantasy in 2004 from Fogerty's nemesis, Saul Zaentz, and has been mending bridges with Fogerty, such as paying performance royalties on his back catalog. Creedence, one of the great American bands to emerge in the late 1960s, recorded for Berkeley, Calif.-based Fantasy until it broke up in 1972. Fogerty had signed away his copyrights to such tunes as Fortunate Son and Bad Moon Rising, and spent the ensuing decades in legal battles with Zaentz. He once immortalized Zaentz in a song called Zanz Kant Danz, while Zaentz countered with a plagiarism lawsuit, claiming that Fogerty's solo song The Old Man Down The Road ripped off the Creedence hit Run Through The Jungle. (An artist ripping himself off - that was a hot one! )The litigation went all the way to the US Supreme Court, with Fogerty ultimately emerging victorious.